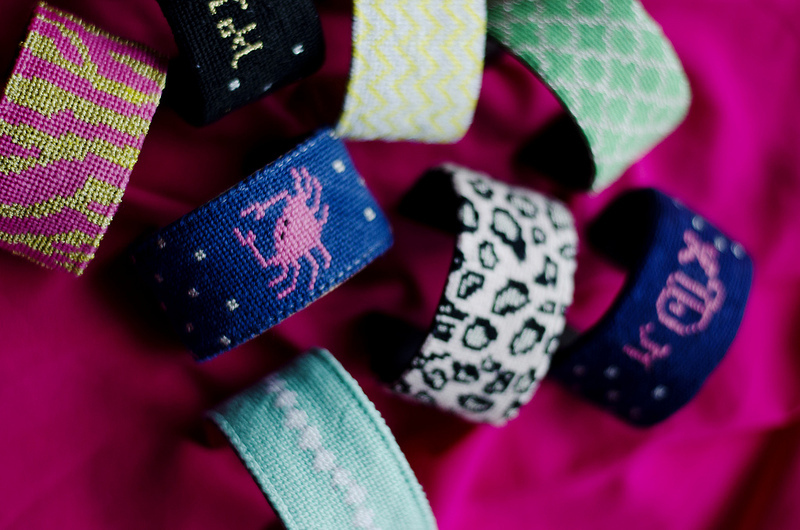 How unbelievably adorable are these needlepoint cuffs by York Design Company? 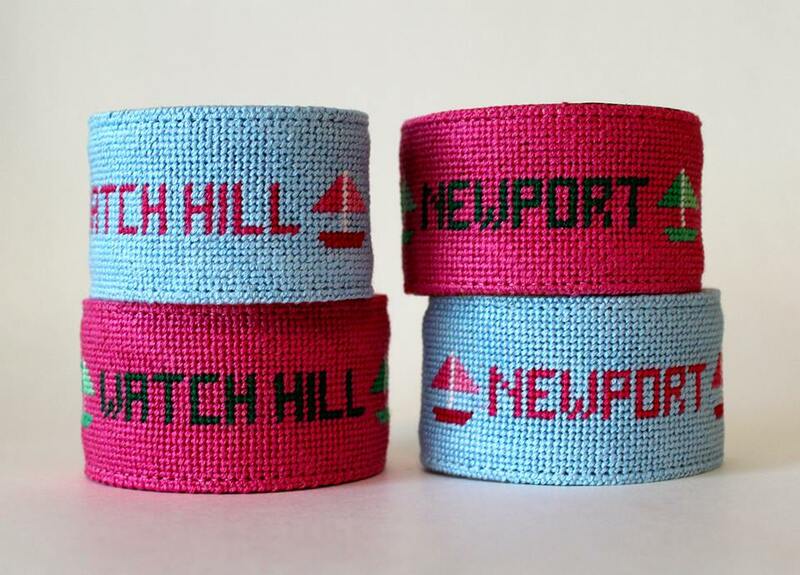 Handmade by designer Laura DiLibero, she says her goal “is to make life a little more fun by designing personalized accessories that can be worn anywhere.” These new needlepoint cuffs can be personalized with a monogram, Greek letters or any combination you choose. The two samples above, one of which include my favorite coastal city (hint: its not the one Taylor Swift is calling home this summer…) is being carried by Three Islands on William Street. For more creations by York Design Company, CLICK HERE. Here Comes the Brid(al) Trunk Show	Two events. Two Causes. Too Amazing.